Once you fill in all of the details below, you will be provided immediate access to the app and all Member Benefits. All details will be sent to the email address you are registered with/register with. <– Having Problems Logging In? This Video Might Help. Have you registered in the past as a FREE MEMBER in our web directory? If yes, please login with those details first below. If you have never registered before, scroll down to begin filling in "Your Membership Details". LOGIN WITH YOUR EXISTING USERNAME/EMAIL & PASSWORD. Create an account by entering a username and password. 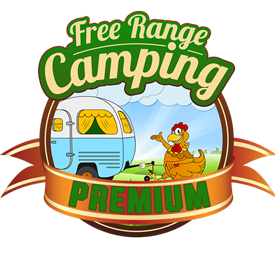 If you are already a FREE RANGE CAMPING member and you want to use your existing member details, please login at the top of the page. FRC App with access to over 9000 verified, accurate and complete Campsite & RV related business listings around Australia. Offline access, directions, save favourites and leave feedback on all sites. FRC Shop Discounts. Premium Members receive HUGE discounts on all items in the FRC Shop. Log in as Premium Member to save up to 50% Off RRP. FRC CLASSIFIEDS. Premium Members receive FREE access to list all Camping & RV related items for sale inside our Classifieds section. Place your items before targeted buyers that are specifically looking these type of items. FRC DISCOUNTS & OFFERS. Premium Members show your digital membership card, built into the app, at participating FRC Business Partners to receive any Discounts or Offers they are making for Club Members. CARVAN – CARAVAN & MOTORHOME INSURANCE. Access to the Caravan & Motorhome insurance policy, with amazing repatriation benefits. whereby members can receive a 10% discount from their quote. OTHER BENEFITS – Include 6 Month Free Membership to the Kiu Parks chain of Caravan Parks, Free National Crime Checks supplied by COC and monthly prizes and giveaways for Premium Club Members.